The British Gazette » The Riddle of the Markets: A Record of Betrayal? 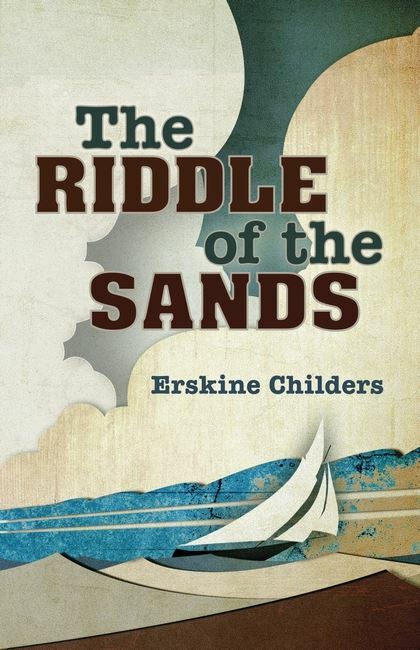 The Riddle of the Sands: A Record of Secret Service, is a 1903 novel by Erskine Childers. The book, which enjoyed immense popularity in the years before World War I, was made into the 1979 thriller movie starring Michael York and Simon MacCorkindale. It was about a planned invasion of the UK by Germany. What is important to realise in terms of Brexit is that whilst politicians and commentators spout their nonsense amongst themselves here in the UK, the politicians and commentators in the EU’s 27 member states also have a view about Brexit. And it will not be the same! This is of course a very widespread human failing: NOT to consider or take into account or notice what the “other side” are planning or want. The onus for this of course falls on “the Leavers” because it was the “Leavers” and not the “Remainers” that won the referendum! This is of course something that they have failed to do! So let us then look at Brexit from the viewpoint of someone like Frau Merkel! Frau Merkel has a problem. It is a problem that former Prime Minister Gordon Brown would recognise. It is something called “bank solvency”. Frau Merkel’s problem you see is that Germany’s biggest bank isn’t. Solvent that is! Now, having one’s largest bank insolvent is problem enough, but one must (as an act of Christian charity) feel sorry for Frau Merkel for she (and Germany) have other problems to contend with! For a start, there is the not insignificant problem of the Euro. You see, Germany may have a common currency with Austria, Belgium, Cyprus, Estonia, Finland, France, Greece, Ireland, Italy, Latvia, Lithuania, Luxembourg, Malta, the Netherlands, Portugal, Slovakia, Slovenia and Spain. However, whilst Germany shares a common currency, she does not share a common sovereign debt with a central authority to control same! The EU is moving towards this but they are not there. Yet. Frau Merkel’s Euro problem is compounded by the fact that Germany is the largest economy and has to carry the heaviest burden. France assists but Italy the next largest Eurozone economy is debt-ridden. Now at this point one might be saying, “poor Angela”. It is indeed, “poor Angela” for along with insolvent banks and an overburdened currency there is yet another factor: confidence! You see, “confidence” is very important for both banks and currencies. This is because if folk don’t have confidence in a bank or a currency they will not make it a home for their money! They will take it out and put it in a bank or a currency in which they have confidence! Ideally, what Angela would really really really want is the UK in the EU and in the Eurozone. She would also like the UK in the Schengen Area. You see, if Sterling was abolished just like the Deutsche Mark and the franc français “confidence” in the Euro would be boosted. This reluctance was well known by those in charge of “le projet européen” and as a result an expensive PR campaign was instituted to try and encourage the British to think of themselves as European. Remember “It’s a knockout!” It was part of “le projet européen”, “Jeux Sans Frontières” (Games Without Frontiers). It was broadcast by the Brussels Brainwashing Commissariat who of course duly went on to faithfully use the term “Common Market” to describe the European Community. Thus it has been known for over four decades that the British People were the least enthusiastic “Europeans”. Then along came the Chameleon – aka David Cameron! The result of the referendum when it was announced on the morning of Friday 24th June 2016 (Midsummer’s Day) must have been very annoying and frustrating to “poor Angela”! You see, she will have looked at the demographic data which clearly showed that the elderly turned out to vote and broadly voted to leave whereas the young (18-24) did not turn out to vote in anything like the numbers of their grandparents and thus whilst very much voting remain, lost! Poor Angela will have regarded the result as being very cruel – to her and Germany! This, because had the referendum taken place say five years later Mr Farage would have lost as many of the voters of 2016 would have died and more voters who are now teenagers would have replaced them. What the 2016 referendum result demonstrated was that “le projet européen’s” propaganda had succeeded but the fruit was not quite ripe. So, to answer the question that lies behind the title of today’s post: What are we NOT seeing? The answer is negative movements in the stock and currency markets re the FTSE and Sterling. With the advent of computer trading, markets have become very volatile and react excessively to rumour. However the present farce that is Brexit is not causing Sterling or the FTSE to fall. You see there will be many politicians in the EU who will suggest that the EU turn the Brexit shambles into a “beneficial crisis”. In the Europhile’s thesaurus a “beneficial crisis” is a crisis which can be used to advance “le projet européen”. Thus, were a “hard Brexit” to take place – so helpfully advocated by such as UKIP and JRM – the chaos caused would enrage and distress the mass of the British People many of whom would blame the UK government and not the EU. This would especially be the case if the EU came forward with a generous offer. You see, after a crash Brexit, do not be surprised to find the exchange rate to be £2 to €1! Were the UK offered “emergency” re-entry into the EU on the basis of joining the ERM prior to adopting the Euro – at an exchange rate of £1 to €1 – many people would vote for just that! This of course would be done by holding a second referendum! Of course, this raises another question of timing: When will the referendum be held? If, let us say the negotiations are shown to have failed by October or November 2018 and the UK is heading towards a “no deal Brexit” then there will be pressure in Parliament and elsewhere to holding a referendum on the revocation of Article 50 which if held and won by the Remainers” would result in the UK remaining in the EU. Anybody who thinks that this will mean the status quo ante plebiscite is being VERY naïve! You see the European Parliament will insist on voting on it. After all the UK’s seats will be handed back to them and the other countries will loose out! Thus one can be fairly – correction, absolutely certain that the UK will loose it’s various “opt outs” and rebates! So we will pay more in and get less out than before! And if a “no deal Brexit” does take place, expect the government to fall, a general election, a new government, a second referendum and re-entry into the EU and entry into the Euro!